Finally, the people of earth are getting behind the environmental disaster that is one-use plastic packaging. The baby boomers of the world may remember a simpler (less damaging) time when milk was delivered to your door in reusable glass, and bottled water didn’t exist. These days, it seems like we generate a huge amount of plastic waste. In fact, the world generates at least 3.5 million tons of plastic and other solid waste a day, 10 times the amount a century ago. And it doesn’t come as a surprise. Personally, when I get behind the stove to cook the family pot of spaghetti Bolognese, it is always a frustration at just how much waste is thrown in the bin; pasta packaging, sauce packaging, bags holding the vegetables, containers holding olives, etc, etc, etc. 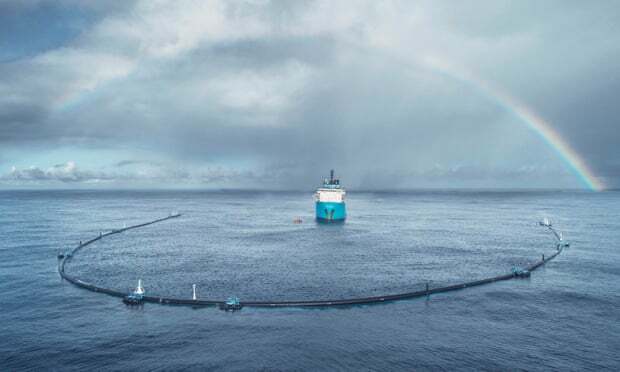 Last year, we heard of the ‘ocean project’, a giant floating barrier launched off the coast of San Francisco designed to clear a swathe of the Pacific twice the size of Texas of floating plastic debris. It was a giant win for the environment that enough concern in the problem could now generate meaningful funds to push forward and try clean up some of the damage already done. This year, global players are trying to tackle the problem head on by reducing plastic packaging to begin with. Hobart City Council has voted to BAN single-use plastics. The initiative follows similar bans in the European Union and New Zealand. In October, The European Parliament voted overwhelmingly for an EU-wide ban on single-use plastics such as straws, cutlery, cotton buds and balloon sticks. The vote to ban single-use plastic in Hobart aims to phase out the environmentally damaging packaging by 2020. Environmentally-friendly, sustainable alternatives will be used as an alternative. The ban includes straws, plastic bags, cutlery, and single-use bottles with detachable lids. In response to the announcement, CEO of the Tasmanian Small Business Council commented on the ban, stating that although he was not against the sentiment of the ban, there was concern that the cost of businesses changing may put some at a disadvantage in terms of the costs associated with changing. However, in 2018 the Hobart Aquatic Centre found that less than 1% of costs associated with changing to environmentally-friendly options were part of the annual turnover. As commented on in the Hobart City Hobart has taken steps already to reduce the amount of litter, mainly through litter-traps and and socks. However, despite this 50% of the pre-existing litter stream is filled with paper and plastic take-away rubbish (data from: Environmental Protection Authority Tasmania). Additionally, the ‘Keep Australia Beautiful National Litter Index 2016/2017’ found that Tasmania’s litter count had increased by 6% from the previous year. The by-law in Hobart, however, will only apply to businesses that provide packaging that can be taken away from the premises by consumers (such as takeaway containers or plastic single-use cutlery). In addition, the by-law will exclude packaging which the consumer provides. It will also exclude packages larger than 1-litre in volume, or the area of 210mm by 297mm. In order to support the changes that the businesses will be undergoing, toolkits and hard copy information packs will be provided, as well as information sessions and one-on-one advice will be available to all Hobart food businesses. Hobart is not the only city making strides to reduce plastic, and banning single-use plastic products. According to SBS, the European Union (EU) are planning to ban single-use plastic items as well. Although it is a proposal, and not official, the EU are expected to implement this proposal within two years. Plastic pollution is set to double by 2030, according to The ABC. Instantly access demos, case studies, resources and more! Don’t take it from us – Here’s what our clients say. Case studies, how Donesafe helped and reviews.